4 lamb shanks (extra fat can be trimmed out). Season lamb shanks with salt and pepper, thyme and oregano. Preheat oven at 375. 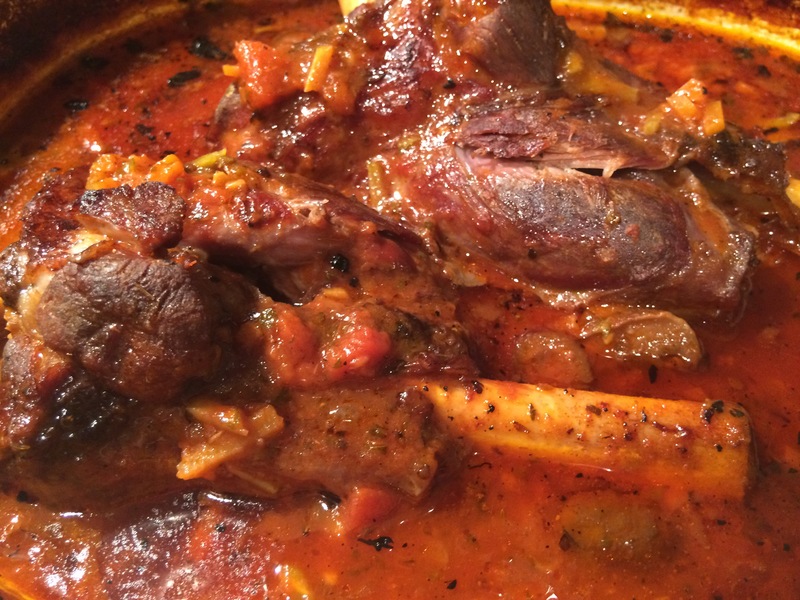 In a Dutch oven over medium high heat on stove top, splash some olive oil and sauté the onion, celery, carrot and garlic, after a few minutes put in lamb shanks and sear on all sides turning every minute. Deglaze pan with the red wine while scraping bottom with wooden spoon. Add the rest of the ingredients.. should almost be completely covered in liquid. Cover and transfer to preheated oven. Cook for about an hour and a half. When done taste sauce and adjust seasoning with salt if needed but remember the olives are salty and I prefer to use a no salt stock. The consistency of the sauce shouldn’t be too think and it’s fine that it’s oily … but if you prefer thicker just boil on stove for a few minutes after removing shanks. The meat should fall off the bone. 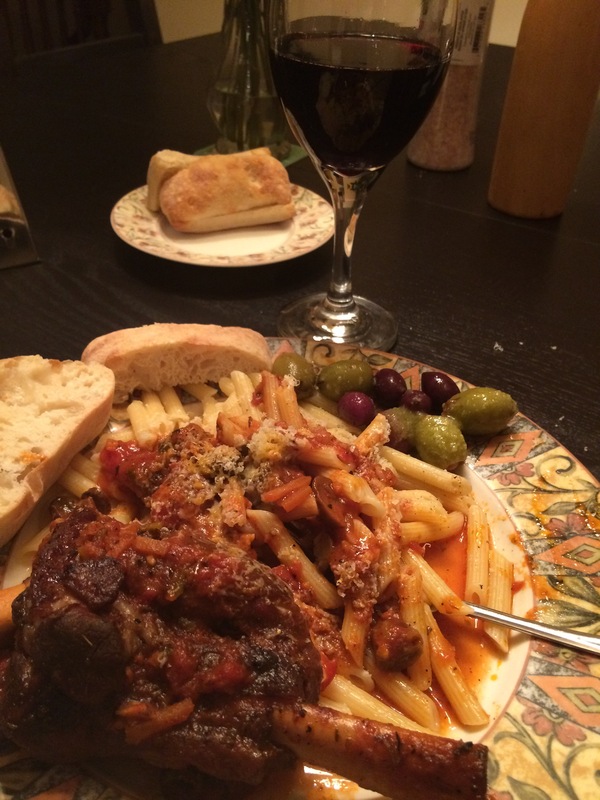 Serve over pasta, rice or roasted vegetables, crusty bread and a full bodied red wine. Enjoy and please give me your feedback.